Are one of the oldest race has ever known. Abyssinian resembles the appearance of paintings and sculptures dating back to ancient Egypt. Today the Abyssinian cat still has a shape similar to Felis lybica, African wild cat which is the ancestor of all domestic cats. 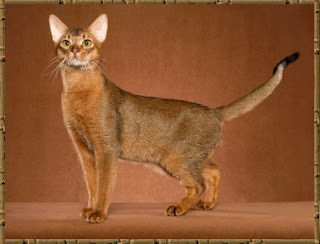 Abyssinian cat muscular body, a neck and shoulders arch is beautiful, with a shape resembling almond eyes and big ears. Legs long and slender, triangular-shaped head and no corners are slightly rounded. 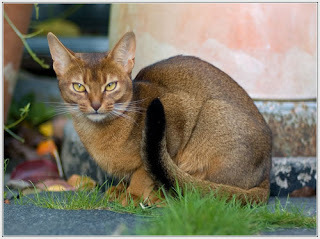 Characteristic of the most visible Abyssinian is ticked Agouti coat color patterns are spotted. Abyssinian cats usually have a high intelligence. In addition Abyssinian cats are very submissive to humans. He seemed to want to know what is done by humans. 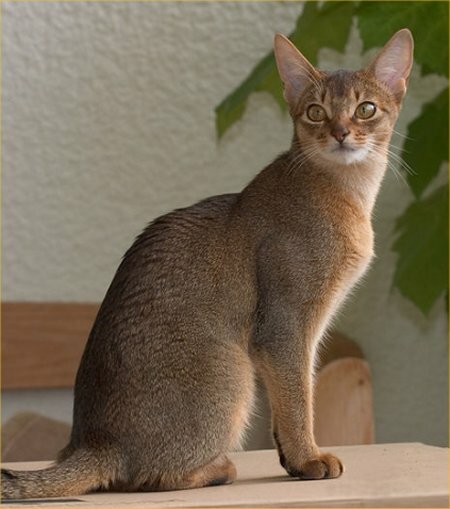 Abyssinian easily trained, because Ras Abyssinian cats have a high intelligence. 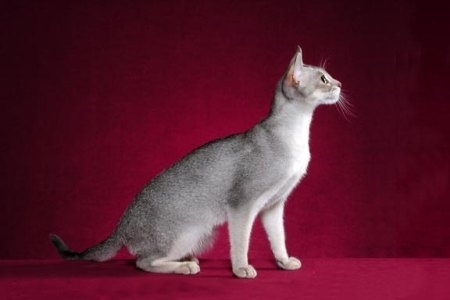 Abyssinian even more docile than other types such as the Turkish Van cat or a ragdoll. Abyssinia able to jump up to 6 feet in the air and move like Olympic sprinters. This is a breed, loyal affection, but demands that need to keep busy to avoid becoming bored and destructive. Make sure that all the glassware you safe if you have an Abyssinian because they like to climb. 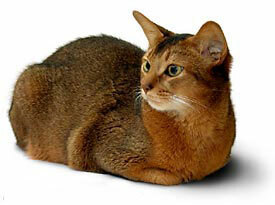 Abyssinian cats are ideal for families with children, singles with other pets and experienced cat owners. Abyssinian unique color the coat showed the "ticking"